On Monday, August 26, 2013 the cities of McRae and Helena set a benchmark by signing the Day of Grace proclamation declaring October 6 as Inspirational Day. 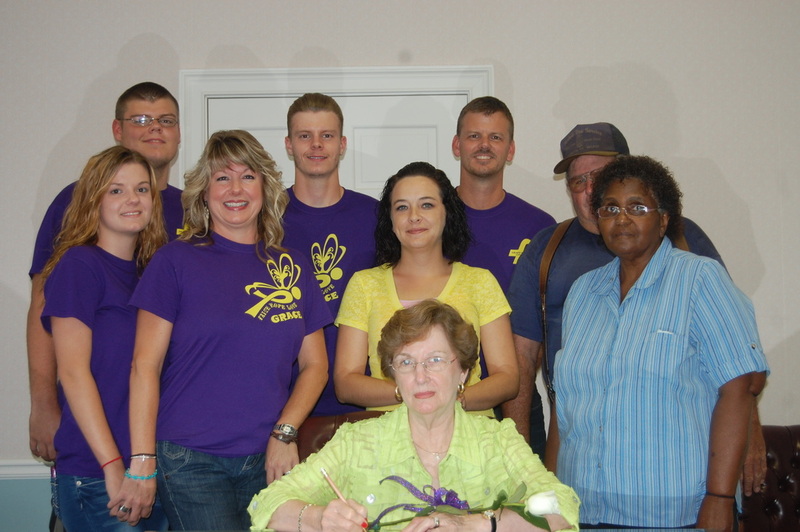 Mayors June Bradfield and Mike Young, along with city council members of both McRae and Helena, saw the benefit of having the special day set apart in memory and honor of the late Grace E. Smith of Telfair County. The Smith family has petitioned all cities of Telfair County along with the Board of Education, County Commissioners and Telfair Chamber of Commerce, to participate in the Day of Grace-“Inspirational Day”. 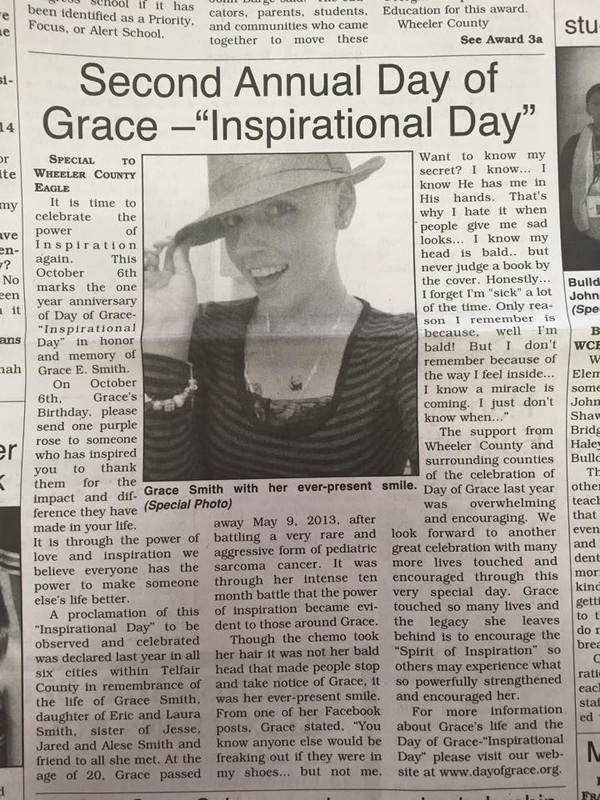 The idea behind inspirational day was set in motion by Grace through her journey and battle with cancer. Her parents and family are continuing the legacy their daughter left behind. This year Inspirational Day will be observed Monday, October 7. Everyone is encouraged to participate by sending a purple rose to the person or persons who have inspired you. It may seem like a small gesture but as the Smith family will tell you, small deeds yield huge results. The city of Lumber City followed suit by Mayor Sue Sammons, accompanied by Lumber City council members, signing the proclamation Thursday, August 29, 2013.